VANCOUVER - The sister-in-law of one of Robert Pickton's victims says a missing-person's report she filed with Vancouver police sat in a filing drawer for years without officers taking any action on the document. Ellis said an RCMP member who was also a member of the task force told her he had found the report in a filing drawer and it had never been "actioned." "I almost dropped the coffee pot," she said. "All this time that we'd been sitting here waiting to hear, it had sat in a damn drawer in the police station and no one had even taken the time to do it." "They're getting their paycheque to do it but they're not doing it, and that really pissed me off." But Ellis said it wasn't just police inaction that infuriated her. It was also the attitude displayed by some in the department. She said in 1998, she called the Vancouver police to follow up on her first missing person's report and spoke to a woman. "She told me in a really snarky tone: 'If Cara wants to be found, she'll be found. Why don't you leave us alone and let us do our job.'" "She told me that she's is probably on vacation. "How the hell can somebody earning, like, $100 a month on welfare be able to go on vacation?" "The police could have done more, a lot more, to stop this," she said. "We all put our faith in them and they let us down over and over. "When the truth is told the world will know that they dropped the ball. The world will know that they did not do their job. "The world will know our pain. The world will know the girls' story. The world will know the truth. The world will know we were lied to, mistreated, mislead and manipulated." During cross examination, Sean Hern, the lawyer for the Vancouver police and the city's police board, asked Ellis if she told police that Cara had a boyfriend named Stan who was also a member of the Hells Angels. Ellis said she didn't tell police about the Hells Angels boyfriend or the man on the farm in 1998, and she didn't recall if she told police about the man on the farm in a later 2002 interview. Following Ellis' testimony, Donalee Sebastian told the inquiry about her mother, Elsie Sebastian, who was last seen on the Downtown Eastside in 1992 and who has never been found. "He also mentioned that looking for a drug-using woman on the Downtown Eastside is like looking for a needle in a haystack. And that was quite the shocker for me to hear, you know, being the daughter of the woman who brought me into this world." In fact, the inquiry heard that the department was reluctant to take a missing-person's report on Elsie, something the family tried to do in 1992. Sebastian said the last time she saw Elsie was in 1992 when she was 16 and visiting an uncle's house at the University of British Columbia. "We didn't want her to go. We wanted her to stay." Sebastian said her brother began to cry and plead "Don't go, Mommy, don't go." "And I stood there and I just tried to hold my brother's hand and she left with that person." Hern apologized to Sebastian for the force's refusal to do more. "Sorry for your loss and sorry that more wasn't done when you and your family reached out for help to the department and the liason society." 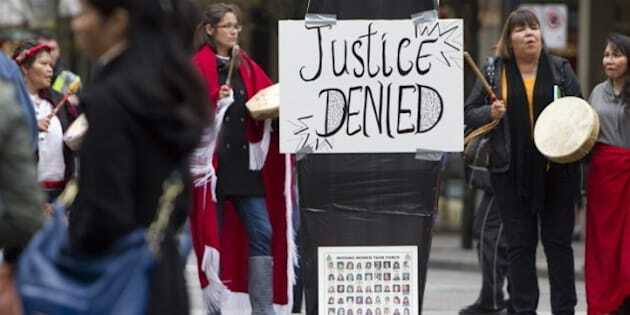 More family members of Pickton's victims are expected to take the stand this week. Lawyers for the federal government have told the inquiry they will not cross-examine the family members.